Photographer Timon Harper was listening to NewsTalk 550 KFYI one morning and heard Sen. John McCain say he was eyeing a presidential run. It was the late-1990s. Harper, a firefighter by trade, said the fire station where he worked was just down the street from the radio station so he decided to head over to meet the senator. “I waited outside for him. I had never met him before but I figured this would be my only opportunity to introduce myself before he got too big and I wouldn’t be able to access him anymore,” he said. He said growing up he always had this idea that members of Congress were chauffeured around in a black SUV. For some that may be true, but to his surprise, he said after their meeting, McCain hopped into his intern’s small Honda Civic. “It showed me they’re no different than anybody else,” he said. That was a lesson McCain taught him over and over again throughout their lengthy working relationship, he said. Harper photographed McCain on the campaign trail during his various Senate campaigns and during his presidential runs in 2000 and 2008. 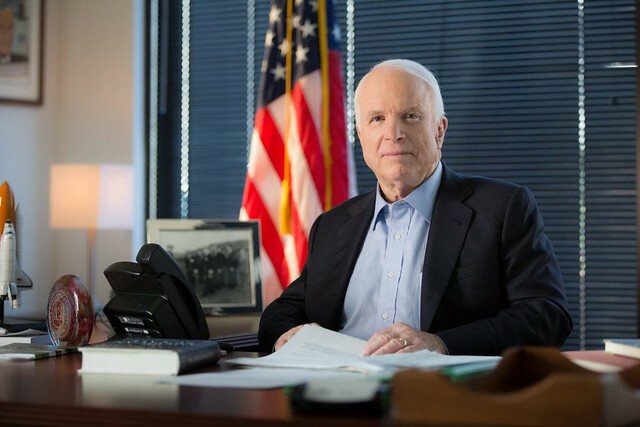 He said the senator always told the same jokes at every fundraiser, but the one that always stood out to him was one where McCain would tell the crowd what his response was when someone would ask him how he was doing after losing a presidential race. Harper said something that photography has taught him is that the best way to get to know someone is not by reading about them in the news or seeing them on TV but to watch how they act when no one is watching. “You learn a lot about a person just by the staff they hire and how they are behind the scenes and he was a genuine guy,” he said.